This post is sponsored by Tyson Foods, Inc, but the content and opinions expressed here are my own. 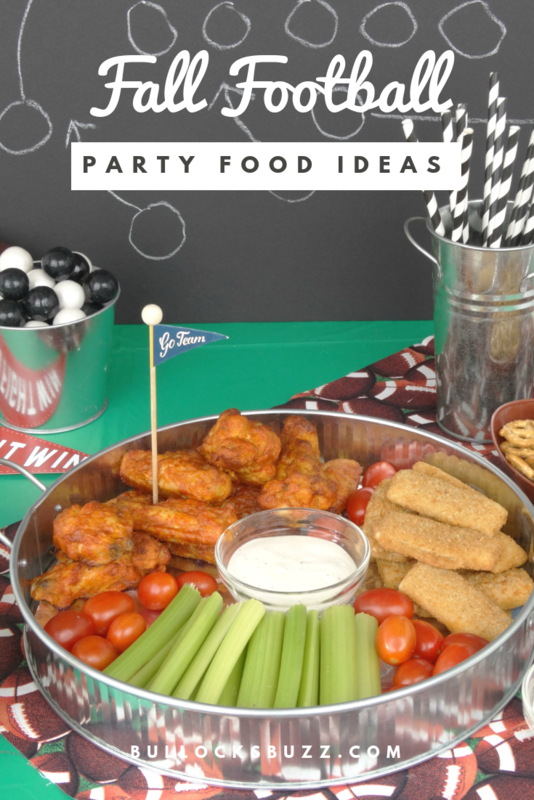 Kick off your game day party with these fall football party food ideas! Whether you are tailgating with friends or rooting on the sidelines from the comfort of home, delicious munchies are a fall football party must! 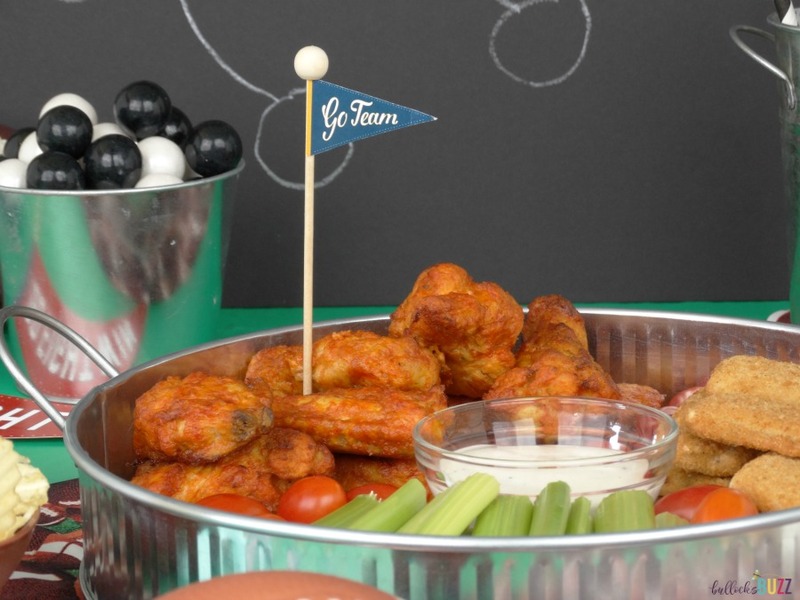 Feed your hungry crowd some tasty game day snacks including Tyson® Any’tizers® Buffalo Style Bone-In Chicken Wings served with a Homemade Ranch Dipping Sauce. It’s finally Fall and you know what that means…football! Football is a huge happening here in Alabama and Saturdays are spent with family and friends cheering on our favorite teams. On the weekends we don’t go to the game, we stay at home, gather our friends and family together, and home gate. 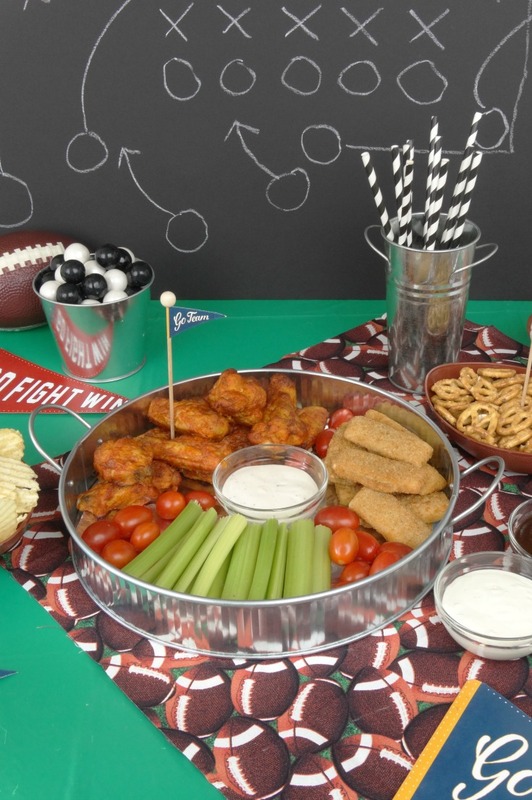 It’s so much easier for us to all get together, cheer for our favorite team, and chow down on some fabulous football party food! With a house full of rowdy and hungry guests to be fed, I love serving simple foods that get me in and out of the kitchen quickly. After all, I’d much rather be watching the game than in the kitchen cooking! And speaking of delicious game day eats, what’s a party without wings? Wings are a football party food staple, and that’s where Tyson® Any’tizers® Buffalo Style Bone-In Chicken Wings come in!  I can be in and out of the kitchen and enjoying the party – and delicious food – in no time at all! 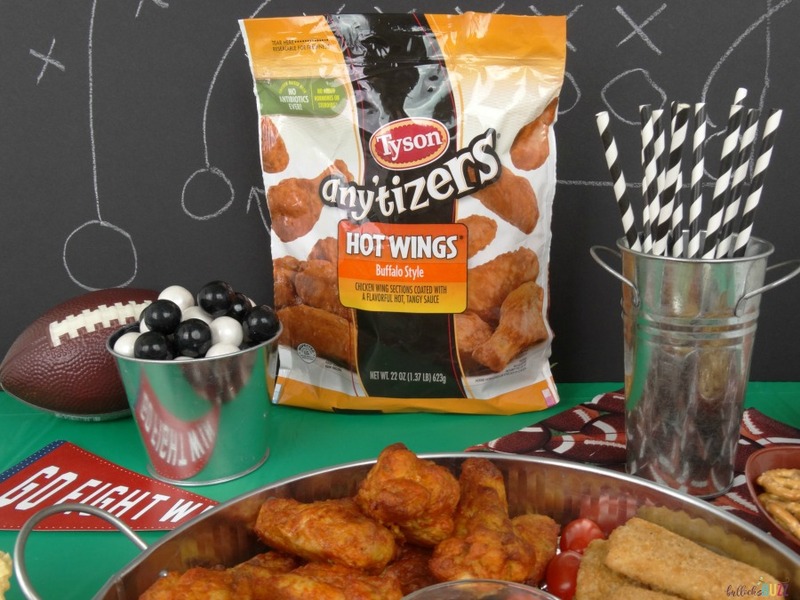 Tyson® Any’tizers® Buffalo Style Bone-In Chicken Wings are an absolute no brainer for game day. Made with 100% all-natural white meat chicken (minimally processed and no artificial ingredients) that’s raised without any antibiotics, I feel good about serving them to friends and family. Plus, if you look for the green label on the bags, you can rest assured that they have no added hormones or steroids, either. Best of all, Tyson® Any’tizers® Buffalo Style Bone-In Chicken Wings are incredibly quick and easy to make. The chicken wings are already fully cooked so all I have to do is pop them in the oven for about 20 minutes, and they come out crispy, spicy, and absolutely delicious! Add some sauces for dipping, and you are good to go! Speaking of dipping sauces, any time I serve Tyson® Any’tizers® Buffalo Style Bone-In Chicken Wings, I like to whip up some of my delicious Country Style Homemade Ranch. It’s the perfect pairing for crispy, spicy wings. Here’s the recipe so you can give it a try. Whisk all ingredients together in a bowl until thoroughly combined. If the ranch sauce is too thick, add a bit more milk to thin. 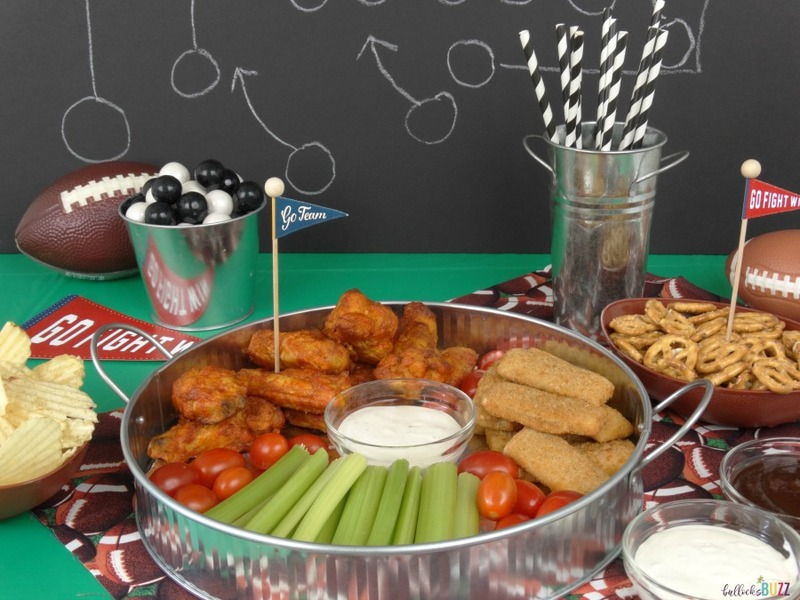 Serve the hot wings with some chips and five layer football party dip, pretzels and a few sweet treats, and you have everything you need for a fantastic fall football party! Head to Walmart and grab a few bags of Tyson® Any’tizers® Buffalo Style Bone-In Chicken Wings for your next fall football party! Are you ready for some football? 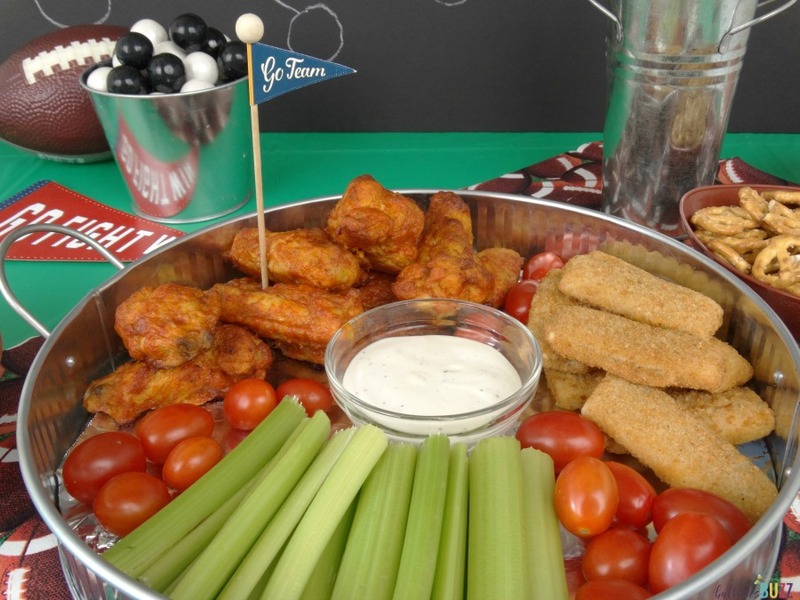 What are some of your favorite fall football party food ideas? Share it with us in comments!